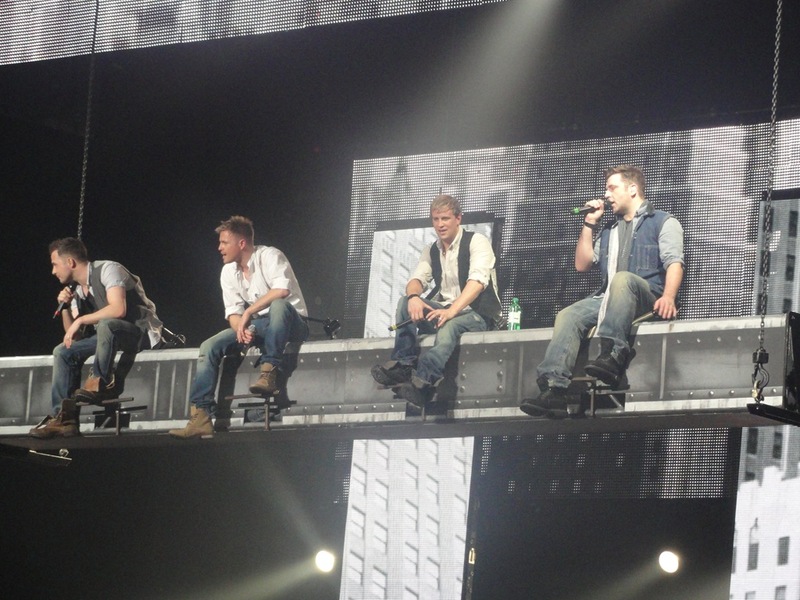 OMG how amazing was last weekend… Went to see Westlife in the O2 in Dublin! I drove down to Dublin with Dermot on the Sunday at lunch time and checked into the hotel and then after we went to the O2 at around 6pm. 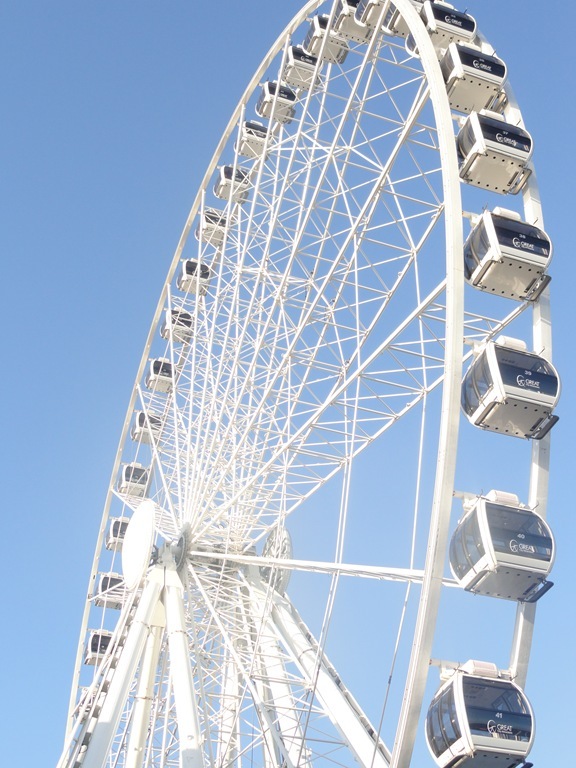 They have a Dublin Wheel now. It looks just like the one in London. Obviously smaller but good idea. Thank god it was lovely outside. We didn’t have to queue long because we went down when doors opened so it went quick enough. 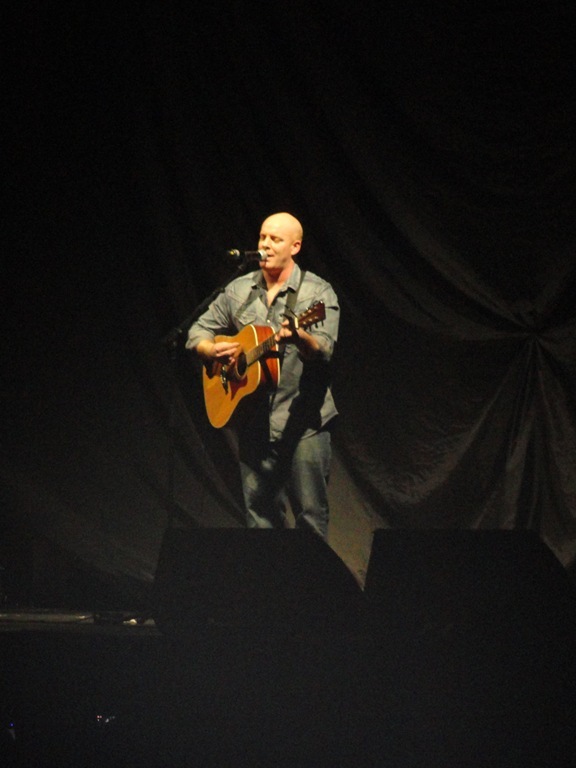 7.45pm – Glen Cal was one of the support acts. He is Shanes brother I think. He performed a few of his songs. 8.15pm – Wonderland performed. 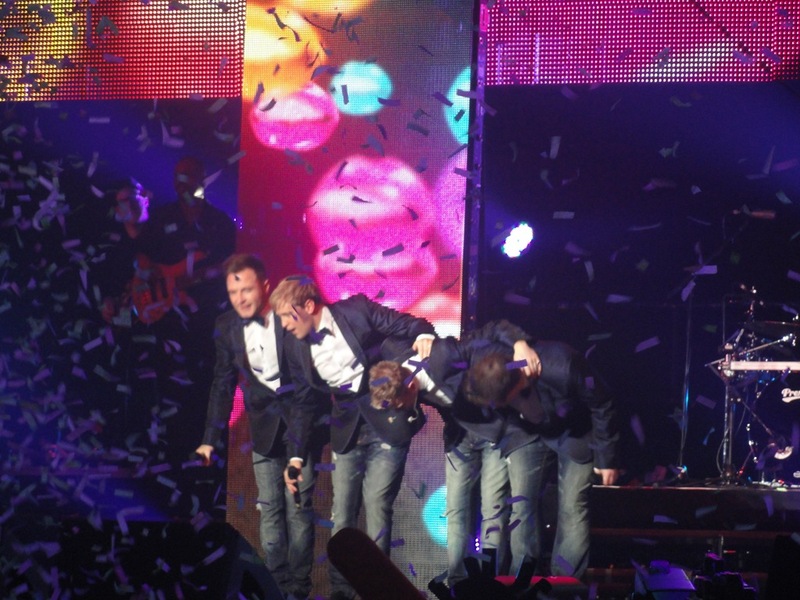 They are the band who are managed by Louis Walsh and Kian. Their songs are actually quite good considering they are all original stuff. A few speeches, jokes, etc. Medley was something different this year. 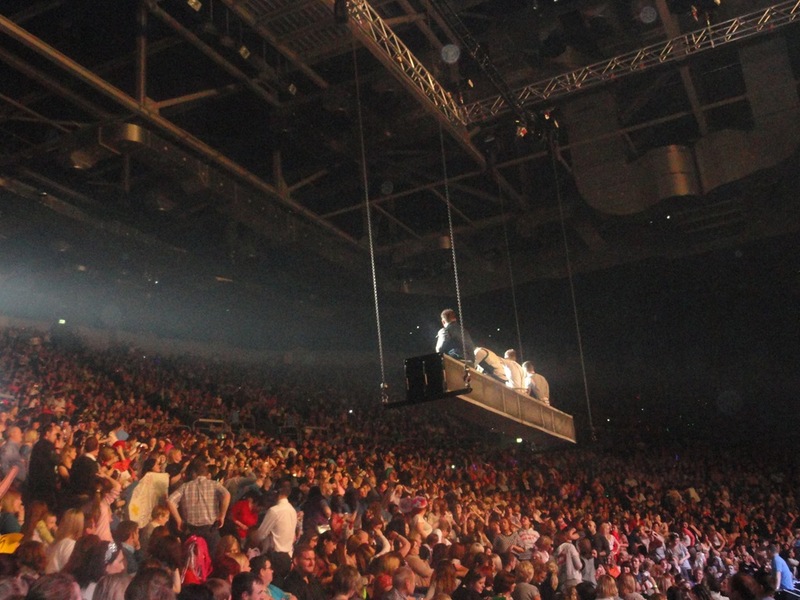 One of the highlights was them being up on a girder. 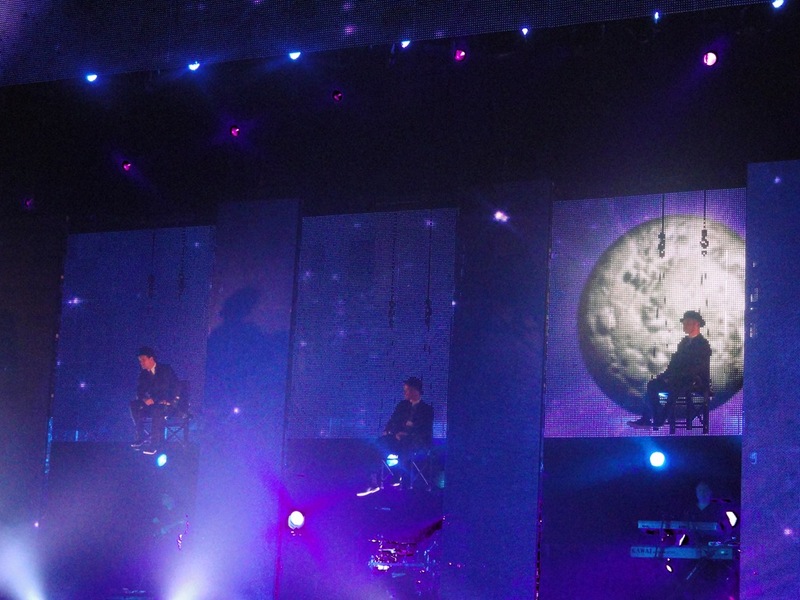 They were quite close to the middle of the tiered seating. The show went on for about 1h 30mins. It’s kinda funny who you always meet in the crowd no matter how many people are in the arena. Met Lene from Norway who only sat a few rows behind me. After the concert Dermot and me got a taxi straight back to the hotel. The taxi service and public transport service is much better in general now. The Luas is stopping at the O2 as well now and has extra Luas going. 11.30pm – We we were back at the hotel. Had a brilliant weekend and the next will be coming up soon. Going to another concert with Katrina on Saturday.